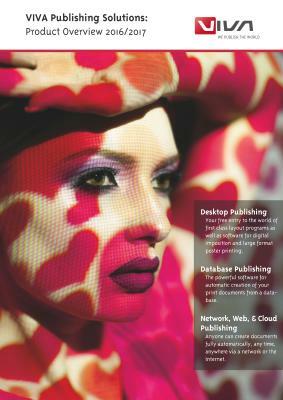 VIVA publishing technology is perfectly suited for use in political parties/organisations and associations. You can choose between an manual and an automatic production of print documents or even combine both production types. With automatic production you create personalised stationery, posters and much more in the Internet with a VIVA publishing server as well as databases or Web forms. This automatic production is particularly suited for centrally controlled operations such as local or national elections. The benefit: With automatic production, you can control the processes centrally and ensure that the party’s Corporate Design is adhered to. The user doesn‘t have to learn any software, but just fills in the fields in a form. In this way the Christian Democrat Union (CDU) used VIVA technology in the German national election in 2009 for the automatic creation of print documents for posters, stationery and advertising material. With manual production you use the typesetting and layout program VivaDesigner to create professional layout documents such as newspapers, magazines, mailings, information sheets, stationery, posters and much more. Manual production is particularly suited for very individual applications, but also for standard documents where the party’s Corporate Design must be adhered to. The benefit: With automatic production, you work economically and are very flexible. With the Free Edition, your organisation and all members/employees have a free of charge program for all operating systems that is easy to use. By contrast to the free of charge Free Edition, the license for the NGO/NPO Edition for political parties/organisations offers hyphenation, dictionaries, spell checking and a PDF output for a very low price. You can of course exchange documents between the NGO/NPO Edition and the Free Edition, so that not all members need to buy a license.